Wairarapa is a region of big skies, wide valleys and small towns, full of character. With three major forest parks and a wild stretch of coast it offers endless possibilities for outdoor adventures or just getting away from it all. It’s also one of New Zealand’s top food and wine destinations offering some of the country’s premium wines and everything from country cooking to fine cuisine in the many cafes, vineyards and restaurants. The Wairarapa is a true escape – all within an hour’s drive of Wellington, and at the heart of the Classic New Zealand Wine Trail. 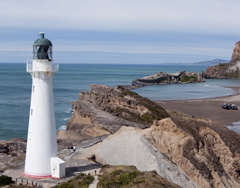 Discover New Zealand's rarest birds at Pukaha Mt Bruce National Wildlife Centre, or watch seals at Cape Palliser where the famous Maori explorer 'Kupe' landed. A full range of classic kiwi adventures are on offer from jet boating to hot air ballooning, from superb fishing to surfing. For the complete country horse racing experience try the Tauherenikau Race Days. Or you can choose from big game fishing, river fishing and surf casting in the Fishing Contests held over summer.The region also hosts a large number of festivals and Toast Martinborough has become New Zealand’s premier Wine and food festivals and attracts thousands of people to the region every year as do the vineyard music tours that bring acts like Opshop to the region. The La De Da music festival creates a fantastic atmosphere every New Year. 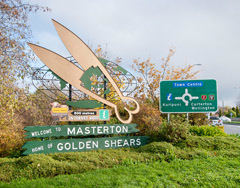 South Wairarapa includes three towns and several localities that have a wide range of economic activity, natural features, and visitor attractions. Undergoing somewhat of a renaissance in the 1990’s as seen the area become particularly attractive tourist destination as the towns have transformed into trendy boutique villages. 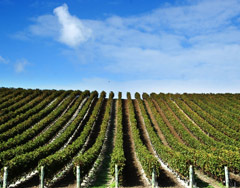 Martinborough is the seat of the South Wairarapa District Council and is a nationally important wine-producing area. The town's central streets form a Union Flag pattern. 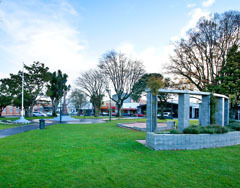 Greytown is where Arbor Day was first celebrated in New Zealand and its Victorian main street is lined with antique shops, boutiques and cafes. Featherston has a museum displaying the world's only Fell Locomotive Railway Engine. The range of landscapes from beaches to ranges provide a stunning vista year round and host a range of activities to keep South Wairarapian’s busy. Fishing, tramping and hunting are at your doorstep and the unspoilt locations make the perfect location for a number of family orientated activities. The region also hosts a large number of festivals and Toast Martinborough has become New Zealand’s premier Wine and food festival attracting thousands of people to the region every year as do the vineyard music tours that bring acts like Opshop to the region. The La De Da music festival creates a fantastic atmosphere every New Year. Because of South Wairarapa's proximity to the capital city of New Zealand, Wellington, there are close links between the two areas. For example, some people live in South Wairarapa and commute to Wellington each day to work; others live and work in Wellington while spending weekends in South Wairarapa.